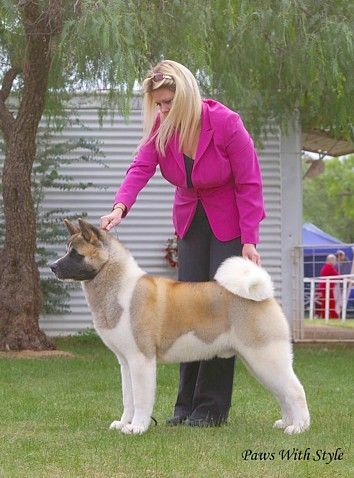 Tommy is the young star of Daykeyne winning Multi Puppy In Show awards and winning RUBOB to his dad Treason Aust Grd Ch Redwitch Strike Force (Imp UK). I cant wait to see what the future holds for this young man. With attitude to burn Tommy has now started to add points to his Championship winning two Best of Breeds against BIS winning competition and Puppy in Group each day at the ACT Junior Kennel Club Shows 1st & 2nd September. 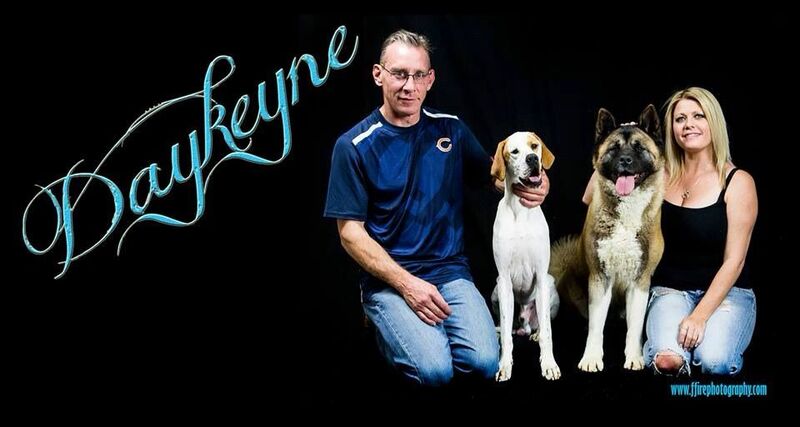 Watch for this big handsome puppy as he grows up!!!! Tommy takes out Best of Breed Adelaide Royal 2007 from the Puppy Class!!!!!!! 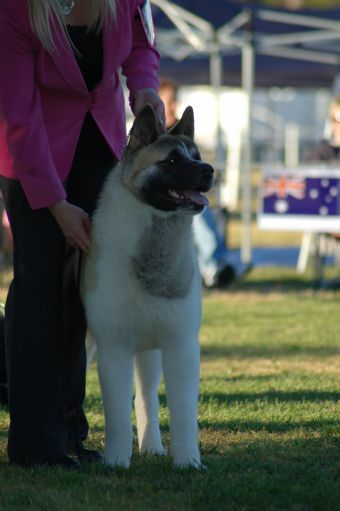 Tommy wins Puppy in Show at the Victorian Akita Club 2007!!!!!!! Tommy wins Best in Show at the Victorian Akita Club Open Show 2008!!!!!!! Now that Tommy is a champion he will be home changing his coat but look out for this home bred boy early in 2009! 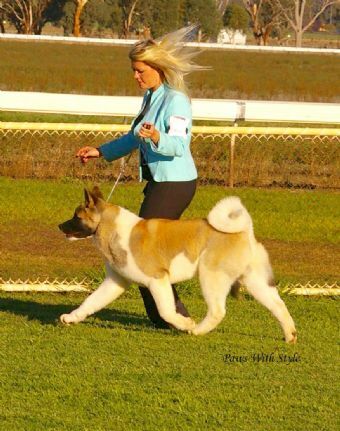 Tommy takes out "Best in Show" Akita Club of Victoria (open show)!!!!!! !